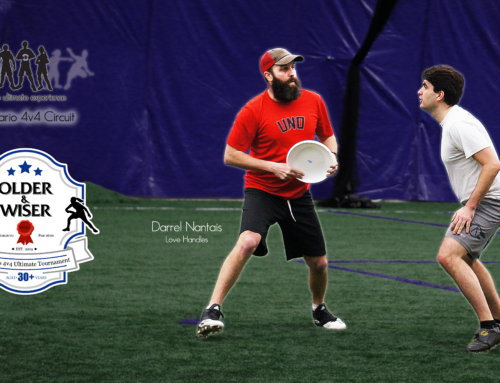 The Ontario 4v4 Circuit continued this past Saturday. 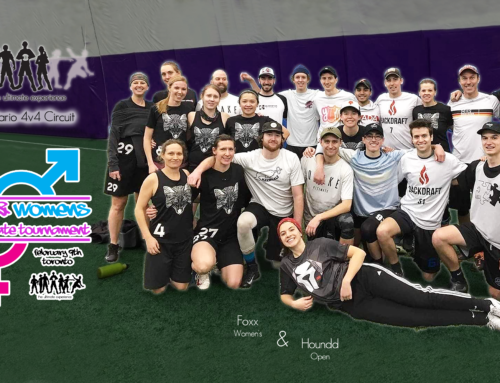 Due to an issue with the Guelph facility, we ended up having to relocate the teams from that event to the Toronto event, resulting in a huge 16 team pool. There were 6 teams new to the Circuit, joined by 10 returning teams. We’ve said it before, but we’ll say it again – every point counts! When you’re playing in a relative ranked format, there is no opportunity to slack off when you are ahead in a game. Your results will be matched against every other result at the event, and if you under perform, it can go against you. We’ll start this week’s recap looking at an experienced team who is new to this season’s Circuit, Tune Squad. 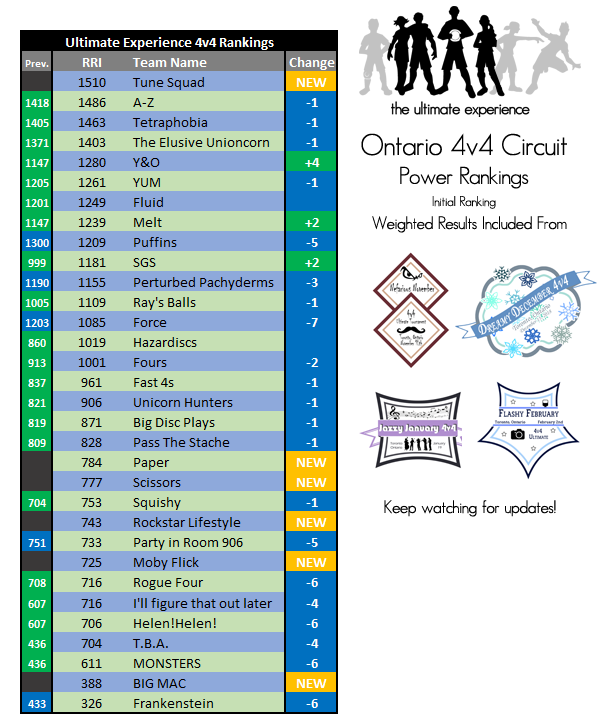 Last year, Tune Squad led the Ontario 4v4 Circuit rankings up until O4UC, where they were displaced by G’s Pot. 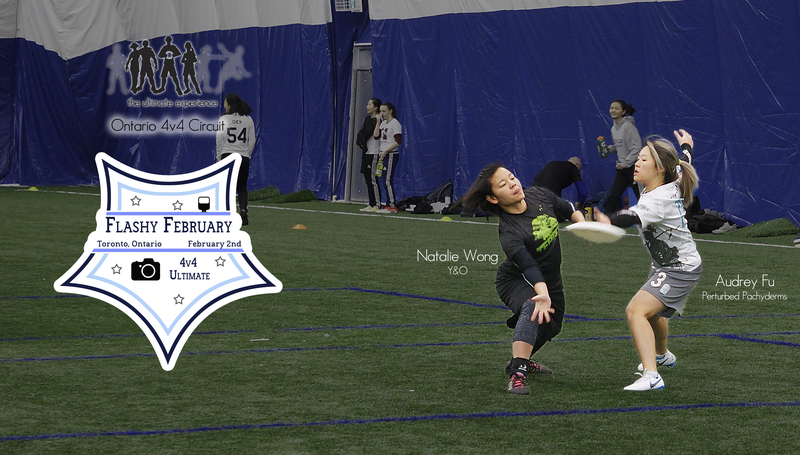 This is their first appearance in this year’s Circuit and they came in with a bang, taking home not just the title from Flashy February, but also entering in to the Ontario 4v4 Circuit rankings at top spot. This adds a new top contender for A-Z and Tetraphobia to chase. That said, the other teams didn’t make it easy for Tune Squad including a close one-point game versus Ray’s Balls. After finishing middle of the pack at the last event, Ray’s Balls showed up this time with their name sake, Ray Hamlyn, in attendance. Perhaps the presence of Ray himself helped spur them to greater heights as the team would go almost undefeated on the day. Their only loss being another one-point game against SGS to end their day. Speaking of SGS, they came fired up after a lackluster result at Jazzy January. They too brought some additional guidance with the return of their sideline coach and motivational speaker, Nick Edwards. Whether we can attribute their turn in fortune to Nick’s speeches, or Ian Bone’s internet sourced coaching quotes, SGS stormed their games to go undefeated on the day and finish second. They cut it close though with three one-point victories over the course of the day. While having a strong showing at this tournament and pulling up their Circuit ranking by almost 200 points, previous game scores relegated them to a mere +2 in position. Other teams put up solid performances at this event as well. Hazardiscs had strong games against solid teams like Force (contributing to Force’s big position drop) and a 3-point win over Perturbed Pachyderms. 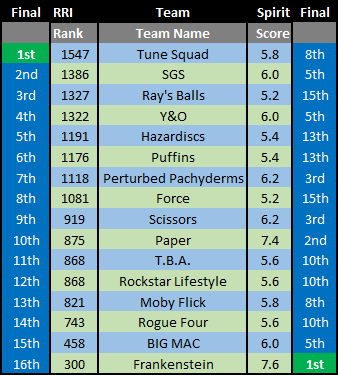 Hazardiscs gained about 120 points in Circuit ranking to define themselves as an up-and-coming team and move up past Fours and other teams that are pushed down due to new results. Y&O also outdid expectations – perhaps due to talented additions to their ‘Young’ roster. They saw the biggest jump in the provincial rankings, attributed to a good performance against Tune Squad and a dominant victory against Perturbed Pachyderms. Perturbed Pachyderms had a rough day overall. Taking big losses to Tune Squad and Y&O, they also lost to Hazardiscs. Puffins also saw their fortunes change from January with close losses in a few games, going an unexpected 1-4 on the day. No doubt we’ll see both these teams come back with a vengeance at future events! T.B.A. came back without captain Mary-Anne who was off for a subpar sport. They pulled off a 3-2 record and close losses to boost them to an 11th place finish and push them 260 points in the Circuit ranking, the biggest gainer from this tournament’s results. Paper and Scissors made a splash into the middle-of-the-pack with a roster across Toronto’s Mixed system – MMV, Zen and Union. Although the teams had some unfortunate injuries, it was still a nice cross-system bonding event and a great showing of Spirited play. Two new young teams, Moby Flick and BIG MAC, featured athletic junior and university players making big plays. Still getting used to the quick-paced 4v4 format, no doubt we’ll see these teams hone their throws and pace themselves to stronger wins. Last but not least, shout-out to our North Bay regulars, Frankenstein, for being Spirit Champions at this event. They consistently make the trek out to Ontario 4v4 Circuit events since last year and we’ve seen their players develop by leaps and bounds. Led by their passionate captain, Jeff Smith, we will be highlighting Frankenstein in a team profile coming soon. With warm days hopefully coming soon, time is ticking to improve rankings to the Circuit’s championship finale. 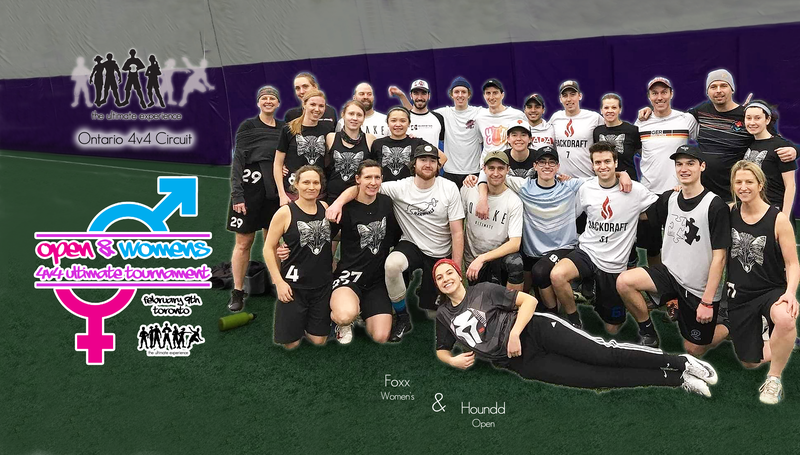 Details are to be announced, but with only 1 more Toronto stop through March Mayhem and a handful of other stops across the province, the end of indoor season is coming to a close. Gather your team together and register ASAP! 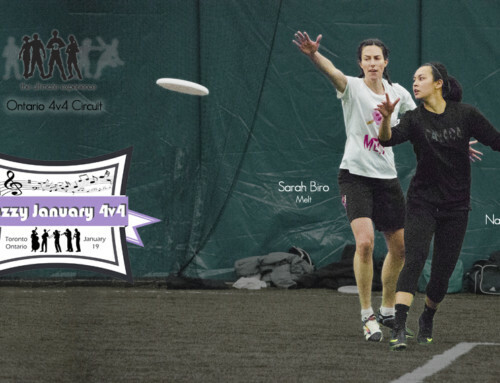 Events in the Ontario 4v4 Circuit are selling out quickly. Be sure to like our Facebook or Twitter account, or sign up for our newsletter, so that you don't miss announcements! 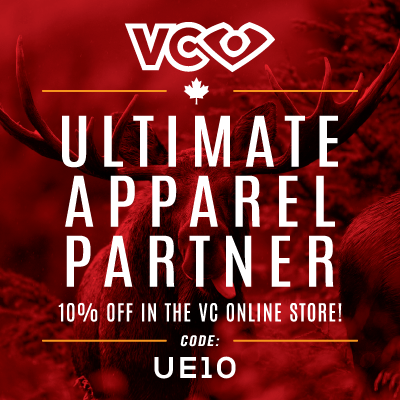 Not sure what the Ultimate Experience’s Ontario 4v4 Circuit is? You can read more about it on our website. This year we are bigger than ever with even more events, more locations, and more teams! 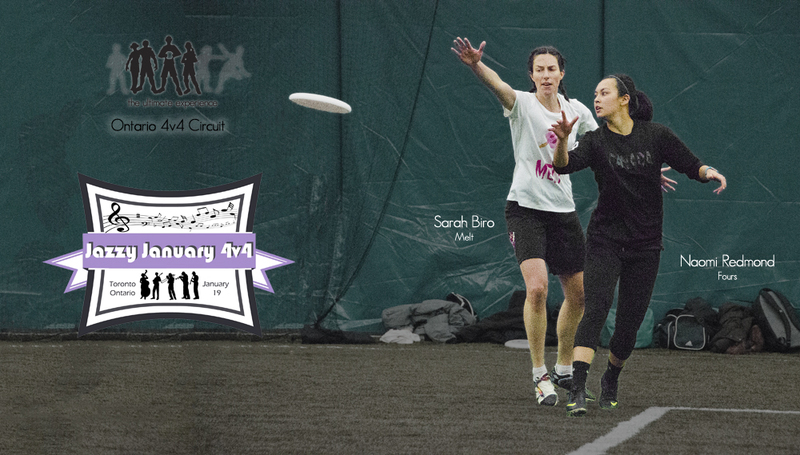 4v4 is an awesome, fast-paced version of indoor Ultimate that you won’t want to miss. Flip to see our profile team! 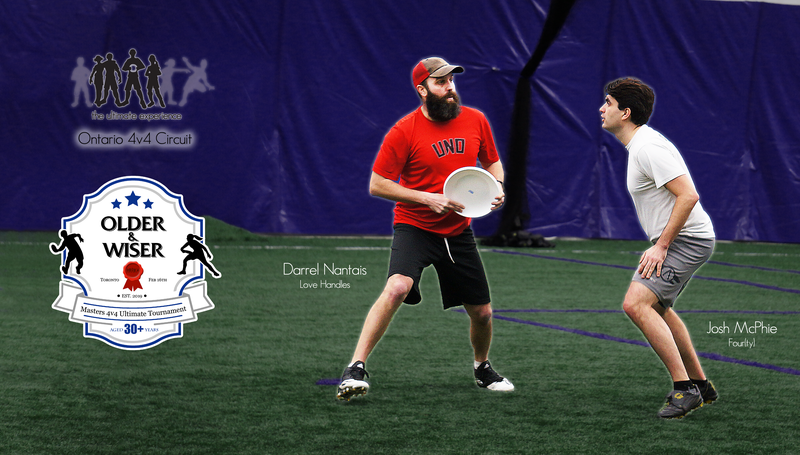 Led by Jeff Smith, Frankenstein, has been a regular 4v4 team at our 4v4 events starting in the 2017/2018 season. As one of the only teams from Northern Ontario, we are extremely proud to have them attend our events. While they may be at the bottom of the rankings, this team has huge heart, constantly growing and improving and consistently taking home top marks for spirit! 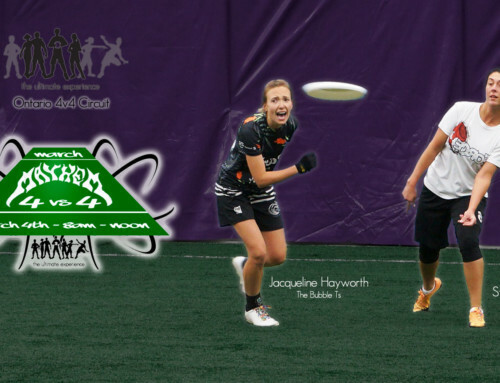 They love Ultimate, and are a great group of people. 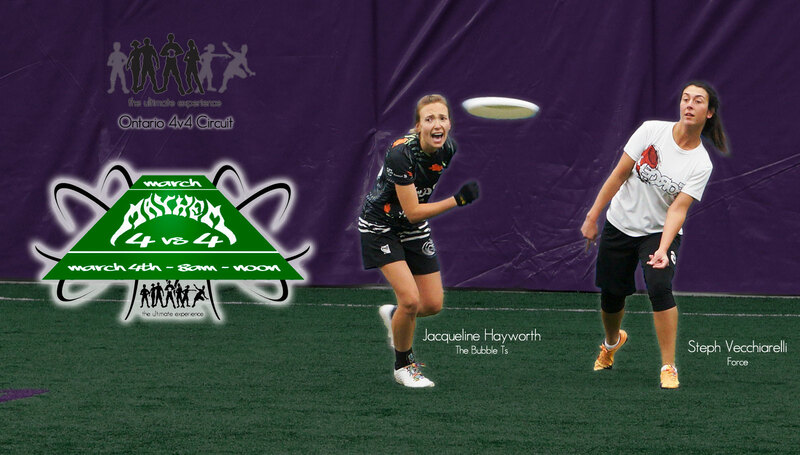 Register Now for March Mayhem! 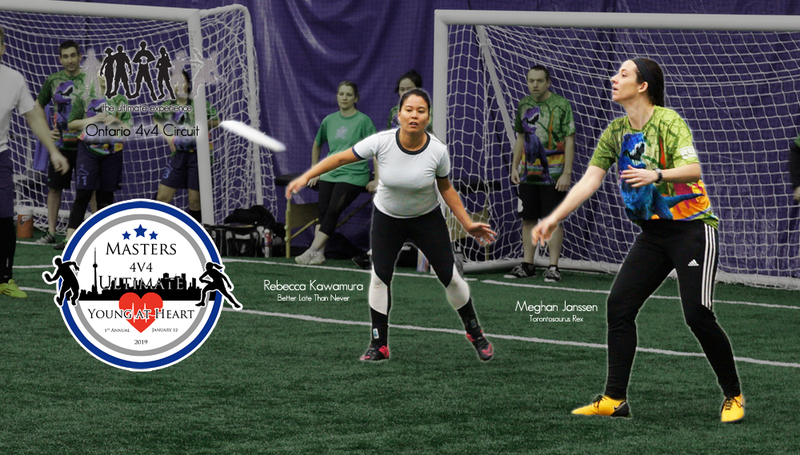 Register now for Hammer 4v4! 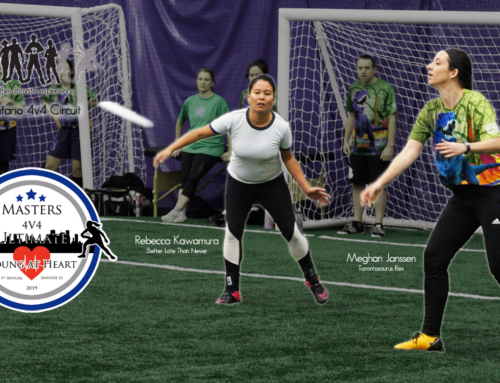 Register now for Niagara 4v4! By playing in this event, teams are now registered for our Ontario 4v4 Circuit. This year there are more events, and more competition, than ever! Stay tuned to our Facebook page, and our website, as we release further details around the series, special events we are planning, and announcements about the exciting championship finale of the Ontario 4v4 Circuit! We beat team ‘X’ at the tournament, but we placed lower than them. Why? Think of your relative ranking to other teams like you would the over-under in betting on say, American football. If you are a very high ranked team, and you lose to a very low ranked team, that will likely greatly improve their overall ranking, and may lower yours. Overall, as more and more games are played across the Circuit, these predictions get more and more accurate – and failing to meet them will have less of an impact on a single match up versus the overall data in a season. Why did my team move up/down when we didn’t even play? Even though your team didn’t play, other teams who you have a history with, may have played games more recently. As this is a relative index, if they did well, and you fared well against them, you may also rise. Similarly, if they went down, you may be dragged down with them. The only sure way to control your own destiny is to play and improve on your past results.